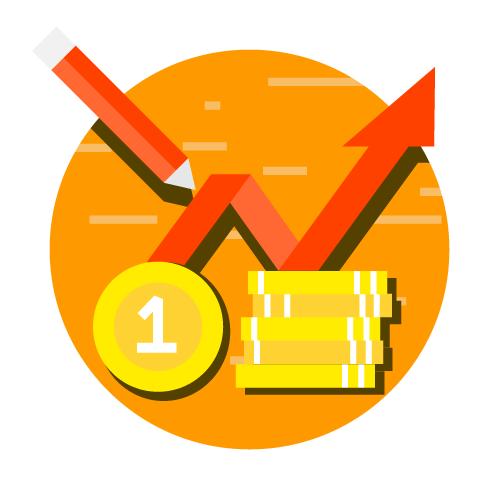 When an industry is subject to increasing returns, the manufacturer lowers the price to develop the market so that he may be able to produce more and take full advantage of the economies of large-scale production.Output. Elasticity of demand affects industrial output. But in this connection we have to distinguish between elasticity of demand of an individual consumer and of the market as a whole. No amount of reduction in the price will induce an individual to buy another copy of the same newspaper or magazine. The individual demand is inelastic but not the market demand, and it is the latter which matters for the producer. Reduction in price will certainly increase the sale in the market as a whole.Wages. Elasticity of demand also exerts its influence on wages. If demand for a particular type of labour is relatively inelastic, it is easy to raise wages, but not otherwise. Poverty in Plenty, Tile concept of elasticity explains the paradox of poverty in the midst of plenty. A bumper crop instead of being a cause of agricultural prosperity may spell disaster if the demand for the commodity is inelastic. This is specially so if the produce is perishable. A rich harvest may actually fetch . less money than a poor one. If the elasticity of demand for wheat is unity, the incomes of the growers would remain same whatever the condition of the crop (and therefore, price). In years of bad harvest. 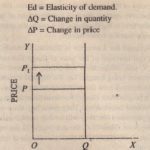 the rise in price would sufficiently compensate the grower for the reduced output In order to ensure a stable income to the tanners, the government must therefore, take note of the degree of elasticity of demand for a particular crop and adopt measures to counteract gluts and scarcities as the case may be. Appraisal. The concept of elasticity of demand is, however, not without its critics. For example, Prof. Samuelson regards the concept of elasticity as of ‘no consequence’ and only a ‘mental exercise’. He criticisms it on these grounds: (a) Economic laws being qualitative and ordinal, the problem of dimensions is immaterial. 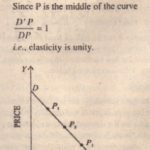 (b) Elasticity co-efficient are essentially arbitrary. (c) Its basis is partial equilibrium since while , calculating the price elasticity of one commodity. we ignore other important factors like changes in prices of other commodities and in consumer’s incomes. When all is said and done the concept of elasticity of demand is not merely theoretical interest. But has also practical application in diverse economic fields as explained above.